Russia's annexation of Crimea; the strategic goals of Putin's Russia for the rest of Ukraine; Russia's "alliance" with Hungary and their common interest in Transcarpathia; the response of Ukraine's leaders to its so-called Rusyn question. 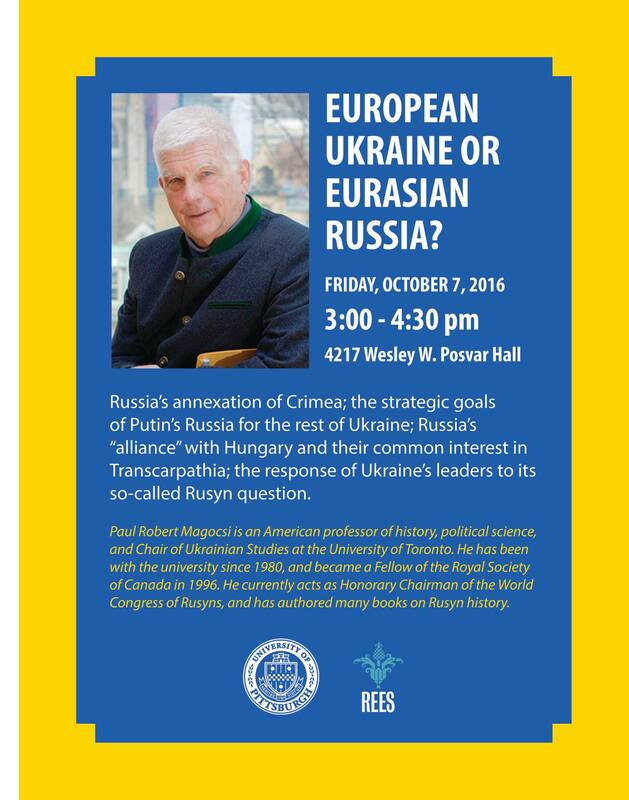 Paul Robert Magocsi is an American professor of history, political science, and Chair of Ukrainian Studies at the University of Toronto. He has been with the university since 1980, and became a Fellow of the Royal Society of Canada in 1996. He currently acts as Honorary Chairman of the World Congress of Rusyns, and has authored many books on Rusyn history.